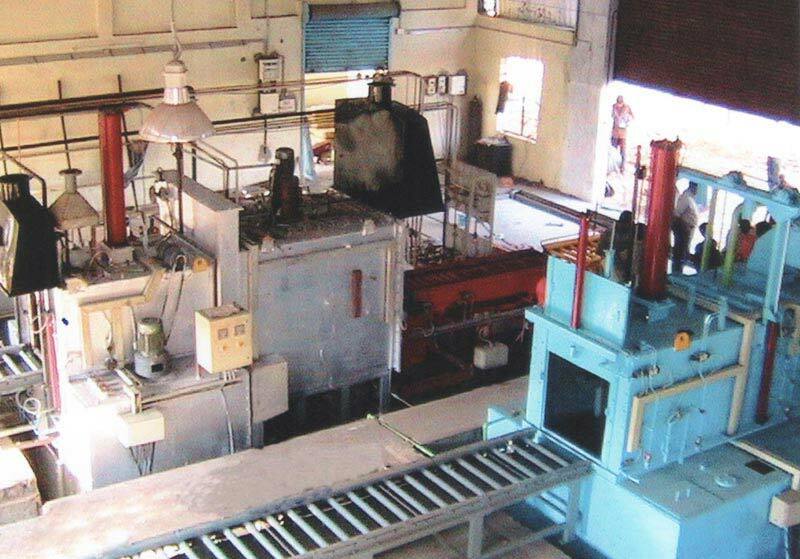 We are one of the leading Manufacturers, Suppliers, and Exporters of Sealed Quench Furnace from Tamil Nadu, India. The trademark characteristic of our Sealed Quench Furnace is none other than unmatched quality. Moreover, our Quench Furnace goes through Gas-Fired treatment or Electric-Heated Treatment, which further makes them suitable for carburising, carbo-nitriding, hardening, and case hardening under controlled conditions such as LPG, Methanol, etc. We offer Sealed Quench Furnaces of straight-through type with both oil and gas quenching. Besides, we cater to the market that demands Sealed Quench Furnaces with our A-grade Furnaces and that too be in various specifications. Allied Equipmentlike Washing machine, Tempering Furnace form a part of the Sealed Quench Furnace. Atmosphere like Endogas, Methanol etc. Straight through type for integeral oil quenching. Safety controls for full safety of equipment and user. AXIOMS SEALED QUENCH FURNACE Saree designed to meet the most unique and stringent requirement of the customer' sheet profile and characteristic requirement.